Cashback Reward : Earn up to 38$! 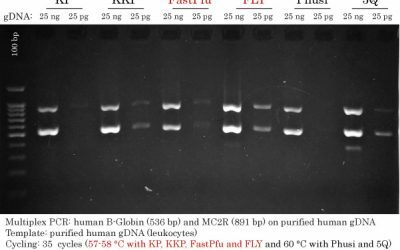 EasyPure® Blood Genomic DNA Kit provides a simple and convenient way to isolate high quality genomic DNA from 5-250 μl of fresh or frozen blood. Whole blood is incubated with binding buffer to release DNA. DNA is bound to silica-based column. The isolated DNA is suitable for PCR, restriction enzyme digestion and southern blotting. Simple and fast, red cell lysis buffer is no longer needed. Complete removal of contaminants and inhibitors. 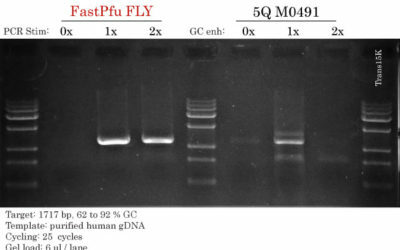 DNA yield up to 40 μg. DNA range of 20-50 kb. Column based purification, no organic extraction or ethanol precipitation. Suitable for EDTA, sodium citrate and heparin-anticoagulated fresh and frozen blood in a volume of 5 μl to 250 μl.